Gorgeous Very Beautiful Necklace Designs with Swarovski dark red coral 4mm & 8mm. We are committed to bringing you unique beautiful handcrafted jewelry. Our pieces are constructed using the highest quality Material. 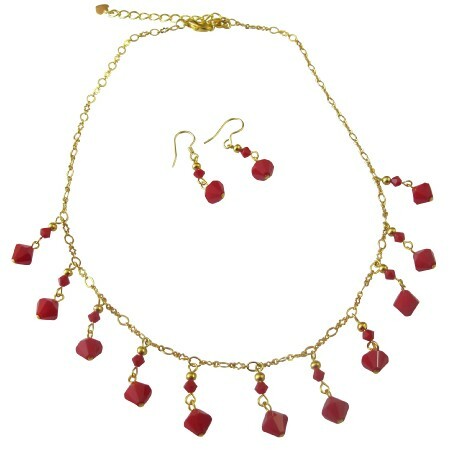 Care craftsmanship & quality are the business this is fabulous sparkling jewelry with deep red coral Crystals accented in gold 22k gold plated Necklace.